Review all NAP variations and double-check with the client regarding all active locations. This way, we are aware of which variations should be cleaned and which ones should not be touched. Make sure that existing correct citations are sorted from incorrect citations. Sort all websites alphabetically in order to see a better picture of what kind of mess you’ve got on your hands, and to determine what type of outreach template to use. By sorting the directory, you’ll save a lot of time on sending outreach emails. You will just need to send one email, and indicate all the profiles that need action. Make sure to create the email account that we will be using for our outreach (usually client provides this). It is much better if the email is from the business domain (not a free email like gmail, yahoo, outlook and etc), because directories often give more trust to an email coming from the same domain as the business. Prepare your inbox settings, and make sure that they match the correct “contact person” name that you will be using on your outreach template. Protip 1: You may want to create some labels for your email, or a folder where you will archive every email you receive from each directory to better organize all the emails. You can sort them by action, such as “need a response”, or those who have confirmed that they will make the changes, so you can easily check back and follow up. My name is [Insert Owner Name], representing [Insert Business Name] ([root domain]), cleaning up outdated and incorrect business data online—specifically that occurring on websites like your own. [insert old business name] is now [new business name]. I think it makes the most sense in this instance to close the listing. Unfortunately we no longer have logins for this profile, and we were hoping you might be able to help us. Please let me know if you will be able to help, and send me a message once you have taken action. Really appreciate your help. Thank you in advance! My name is [Insert Owner Name], representing [Insert Business Name] ([root domain]), cleaning up outdated and incorrect business data online – specifically that occurring on websites like your own. Unfortunately, we no longer have logins for this profile, and thus we were hoping you might be able to help us. My name is [Insert Owner Name], representing [Insert Business Name] ([root domain]), cleaning up outdated and incorrect business data online—specifically those occurring on websites like your own. Would you be so kind as to remove the duplicate occurrence? Would you be so kind as to remove the duplicate occurrence, and update the non duplicate listing? Note: For better results, you have to prepare different templates for some kind of businesses, such as a real estate office or a law firm, where you need to prepare an outreach template for the staff working on that business. 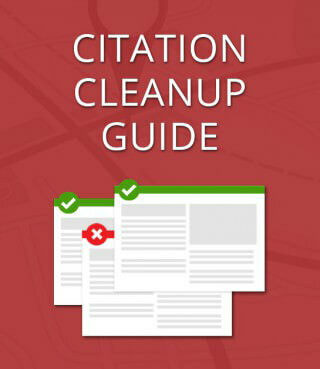 Start Citation Cleanup! But start at the main source of the data. The reason is that some sites pass your business info to other sites and others use trusted sites to cross-check your business information. 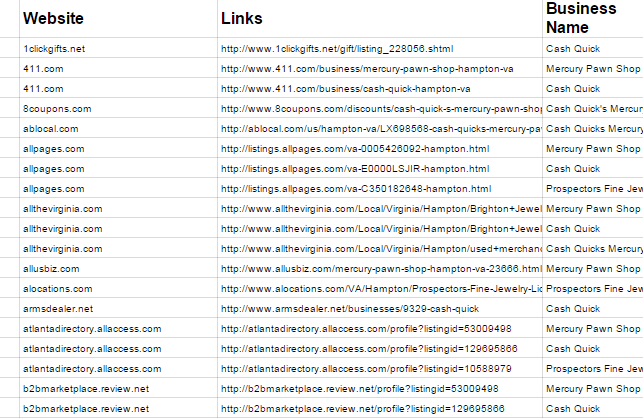 Data aggregators are a notable problem, because they feed data to other directories. Once you successfully fix your business info on one directory, after some time, it may revert to the previous and incorrect information because it pulled that data from the aggregator. There are many ways to perform a citation cleanup based on the situation. Have you or your client kept a login to the account? 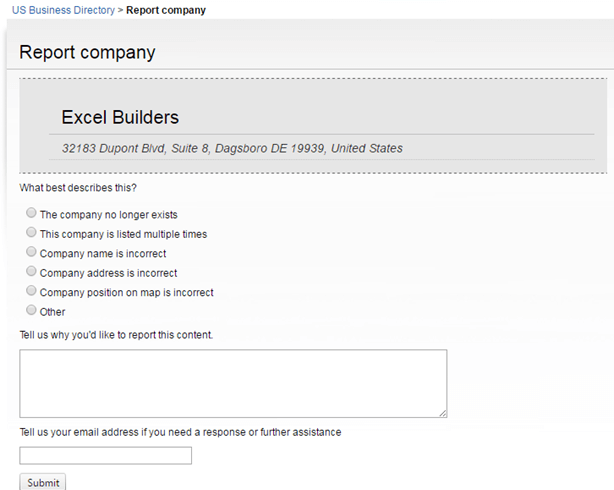 Does a site have a feature for modifying a business information? Below are ways some to handle a citation cleanup, just pick the one suitable to your situation. Do you or your client has a login for a specific citation profile you want to modify? If YES, then it will be an easy job to fix the citation profile. Just login to the account, look for the settings on how to edit the business info, and edit it with the correct info. Note: not all citation sites use the same process to modify a listing, you just need to dig deep and look for ways to do it on a specific site. Some sites don’t have features where you can easily edit your business profile. The only solution they will recommend to you is to contact them and report the incorrect business info that you want to change. Some citation sites have a feature for claiming business profiles. You just need to do verification like email, phone etc. You can easily claim business profiles, especially those that are not yet claimed. Just look for a link to claim a listing and supply the necessary information needed. Using our email templates above, identify the appropriate problem and send it to the site support. There are couple of ways to do that. You can compose a message via your email account or contact the site support via their contact form. If you will be sending them an email using your email account, you will need a contact email. directly contact the person who is handling the business profiles, if you can. Note: If you find multiple contact email address, it might be good to add them all to the recipient list for your outreach email. Sometimes, citation sites do not provide a contact email address. 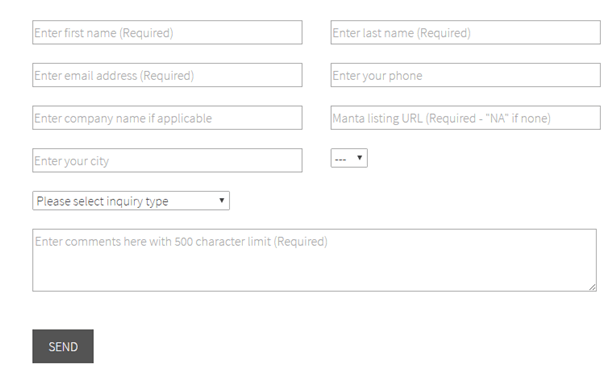 The only way you can contact them is via their contact form, which is often available. 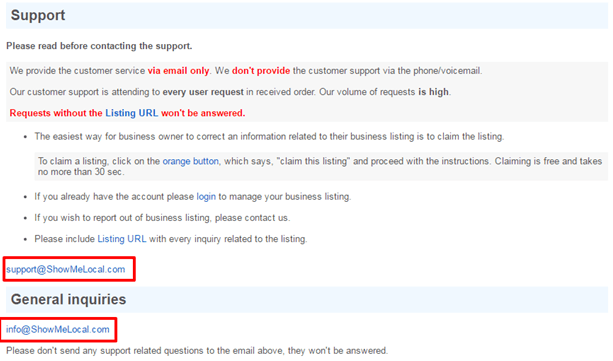 Always look on the contact page of the site and you will discover the ways you can contact the site administrator. The problem on some sites is that they have a character limit on the message box, which is kinda annoying—especially if you want to give more detailed on the problem. 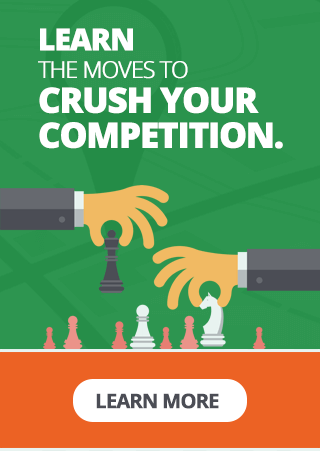 You don’t want to resort to this, especially if you are a marketer that does the cleanup for your client. Your location may be a different continent, nevermind country from your target. The cost of contacting these sites might not be enough to justify the payment you receive for the cleanup job. I found this has a very low of chance of fixing incorrect business information, especially for big and popular sites. Some sites need a number of persons reporting the same problem to be able to modify the profile. Some require verification (which sometimes they call or email the business owner) and this takes forever. There is no harm in trying though, especially if the only way to proceed is by doing it. Check email once a week. Most citation sites take time to respond to your email and when they do, it is often an automatic generated email response. There are citation sites that give instructions on how to modify business profiles. Watch out for those verification links and temporary login details that they might give you to modify the business profile. It is better to record the mode of contact you use on every round, as this will give you an idea whether it is useful or not. For example, did you send an outreach email via a specific email account, and would it be best to do it again next round? Maybe we should try another way of contacting that site. For best results, try contacting the site support. Give those sites time. small sites usually don’t have enough manpower to process every request. Usually it takes 1-2 weeks before they respond to your email. If you receive no updates from them, then it is good to do a follow up email or another round of citation cleanup.